These zippered change purses are available in cloth or beaded styles. They come in assorted colors. 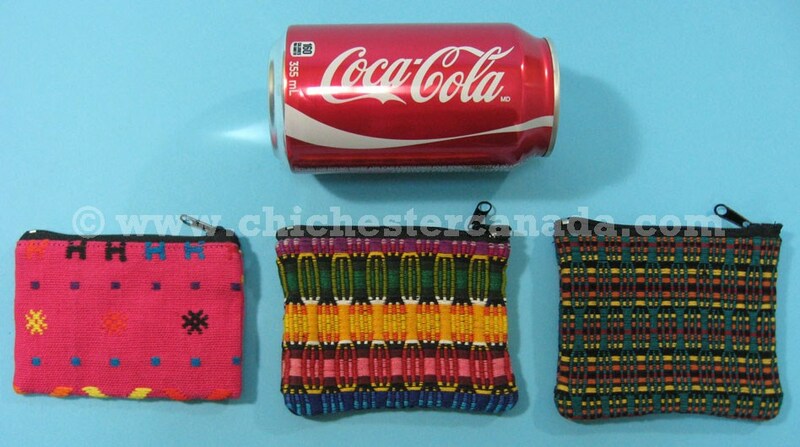 The cloth change purses are 10.5 cm by 8.25 cm and weighs approximately 18 grams. 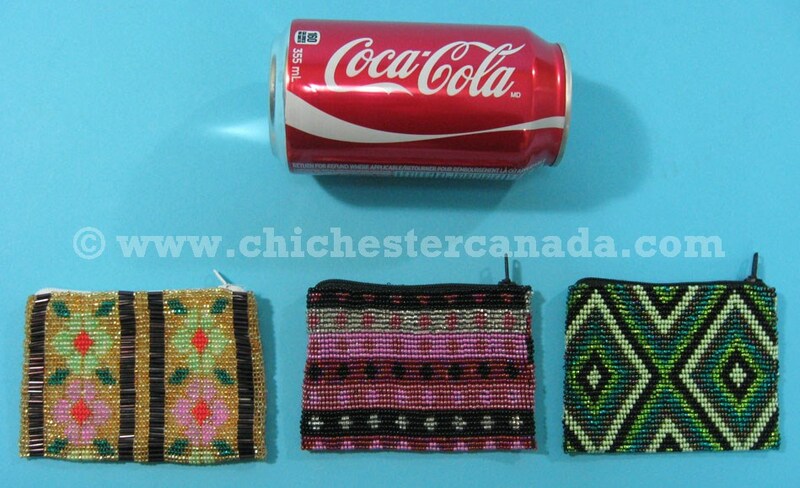 The beaded change purses are 10.5 cm by 7.5 cm and weighs approximately 50 grams.